It has been quite a while since I wrote any political post. I can’t blame the present state of the country for not providing me with enough burning topics :P . Moreover, it was all my ignorance which kept me at bay from interfering in the political scenario of the country. But then it would be read as my negligence if I remain quiet about the recent furor caused by the political instability due to the upcoming state assembly elections in my native state i.e. 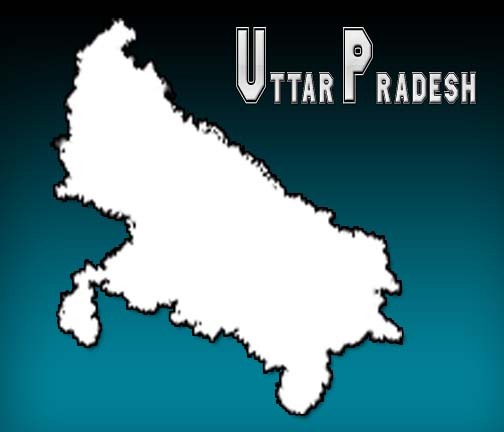 Uttar Pradesh. Little bit of knowledge about Uttar Pradesh is essential before plunging deep in the woods. Uttar Pradesh holds the key to the Prime Ministerial seat at Delhi with the most number of MP’s from a single state. Also it’s the country most populous state, amazingly leaving behind many countries. And, importantly, Uttar Pradesh is the second to largest state-economy in India, after the Indian state of Maharashtra. Yet it’s the perfect example of crumbling state machinery in neglect. UP presently is governed by the Dalit centric political party BSP which sprang the last assembly election with full majority using its unique Sarva Jan Sahay slogan. Interestingly, after coming into power it wasted millions on building large monuments and parks instead of social and industrial development that subsequently can be seen as the last nail in the coffin of a dead poor state. It’s saddening to hear when someone after ruling the state for four long years proposes to divide it into four individual identities on the behest of proper development. Don’t worry the other major political parties aren’t far from paralyzing the already weakened state. The grand old INC that turned itself into a lucrative dynastic career opportunity left no stone upturned in crippling the state. When the self proclaimed future PM of India begged the state people in a recent rally to bring his party into the power so that they can revive the derailed development projects I felt cheated. It’s making fool of the public when someone asks for five more years after ruling barbarically each and every nook and corner of the country for almost four decades. And adding to the humiliation is the leading figure who reportedly doesn’t know what his cabinet is unto. I’m not pro-BJP. How can I vote for someone with mixed ideologies? They draft proposals with full vigor in their tenure and oppose the same while in opposition. Does that happen to make me a communist? I never heard of them in the state of Uttar Pradesh. Are they really campaigning in the state? Do they even have a office here? Ah, then whom to vote… perplexing question. Isn’t it? It’s best to remain at home then to vote for someone undeserving and unqualified. Why not boycott the whole election fiasco? May be that will force the government to take some bold decisions. Note: I know there are other political parties like SP & RLD active in UP. But, did I have to waste your 2 minutes more in making you read about them? Also, views expressed are personal. Boycott the fiasco? That would be very wise. You get to choose between a group of smugglers, thieves, and dacoits. Who to choose? The Uttar Pradeshi in me in rather scared of elections.